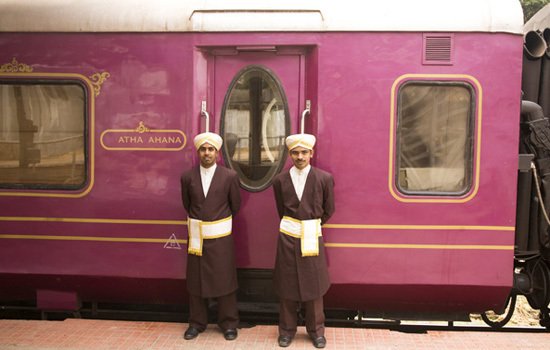 The Golden Chariot is, unashamedly, south India’s answer to the Golden Triangle’s Palace on Wheels; a luxury train which transports tourists in five-star comfort, between sites of cultural and historic interest. Every Monday of the season, the purple train pulls out of Bangalore’s Yeshwanthpur railway station to tour highlights of Karnataka before a last halt in Goa. If you thought that luxury train travel belonged to the world of Agatha Christie and went out of fashion with the Charleston, think again. The concept of exploring India’s heritage sites from the opulent surroundings of a train with dining carriages, a lounge-bar and comfortable sleeping quarters is proving increasingly popular. The acclaimed Palace on Wheels – which tours attractions near Delhi, Rajasthan and Agra – rolled into service back in 1982 but remained India’s only train of its kind until Maharashtra’s Deccan Odyssey entered commission in 2004. The Golden Chariot’s inaugural journey took place during March of last year and a fourth luxury train, the Royal Rajasthan on Wheels, will enter service, in the north of the country, in the latter part of this year. Karnataka borders the better known states of Goa and Kerala and has much to offer visitors. 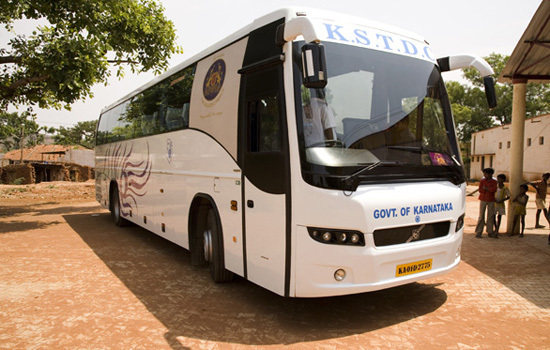 Reflecting its diversity, the slogan “One State, Many Worlds”, is used in promoting Karnataka and is emblazoned on the side of the Golden Chariot. A remarkable 609 of the India’s 3600 centrally protected monuments are located in the state, so perhaps I should not have been surprised to learn that historic and cultural sites make up the mainstay of the attractions visited on this trip. “A Luxury Train that travels 1600 years back in time,” was the boast in the information pack left in my sleeping compartment. Two of the destinations, Hampi and Pattadakal, gave me an opportunity to explore UNESCO World Heritage Sites. We also stopped at Shravanabelagola, home to a thousand-year-old statue of Lord Bahubali and an important pilgrimage site for members of the Jain religion. I enjoyed Mysore’s sumptuous Indo-Saracenic style Amba Vilas Palace and the intricately sculpted twelfth-century Hoysala temples of Belur and Halebid. Goa, the train’s final stop, provided me with an opportunity to relax on the beach with a Kingfisher beer in my hand. But for me the highlight of the trip was the chance to enjoy some of the India’s impressive wildlife at Rajiv Gandhi (Nagarhole) National Park. And, yes, I did drop the jungle jackpot and see a tiger. The overnight stay at the Kabini River Lodge was the only night we spent away from the train. To reach these attractions and other sites of interest, we were picked up from railway stations en he route by an air-conditioned coach. It follows the train throughout Karnataka. Should anyone develop a case of ‘temple fatigue’ or want a break from the in-depth commentaries provided by specialist local guides there’s always the possibility of opting out of the excursions. It’s also possible to spend a day in the Aragoya carriage, which houses an ayurvedic spa, a compact gym with cardiovascular stations, and a business centre with internet access facilities (though this latter facility was somewhat lethargic). The spa treatments, administered by specialist staff, include aromatherapy and Swedish massages, plus de-tox and de-stress packages. Despite the obvious space constraints of a railway carriage, the spa is equipped with two steam rooms. The train has eighteen coaches, including engines at either end. 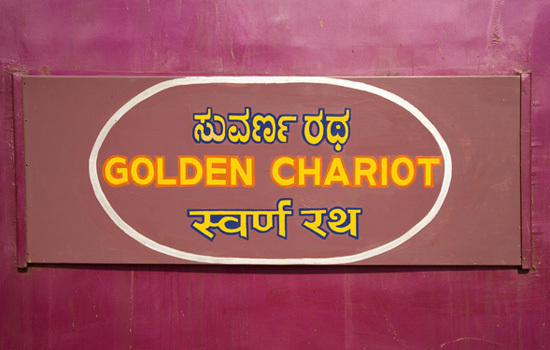 Eleven of the carriages are sleeping quarters named after the dynasties which formerly ruled over Karnataka. Each of the carriages has a full-time Coach Attendant who provides butler-like service. The sleeping cabins are accessed via sliding doors and their designs are influenced by the Mysore and Belur-Halebidu schools of art and architecture. But the use of light-coloured woods and flat-screened plasma television lends the cabins, which have en suite bathroom facilities, a modern feel. 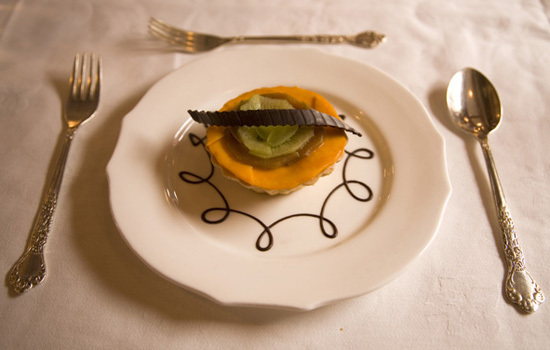 For me the main highlight of the Golden Chariot was the great, well-presented food. The Executive Chef, Deepak Chaubey, does a great job of sourcing top-quality fresh and seasonal ingredients along the route. 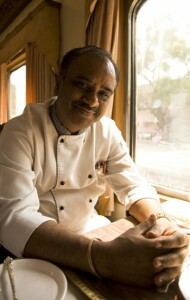 His team create their dishes using electric ovens and hot-plates, as gas cooking is not permitted on the Indian Railways. The cooks work in two narrow galley-style kitchens, one for Indian cuisine and the other for continental style preparations; both ar eoffered at every sitting. 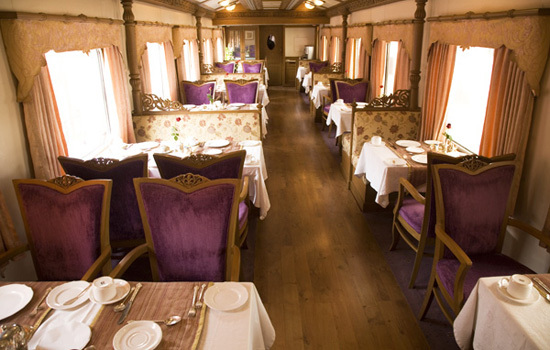 Meals – ranging from shepherd’s pie to traditional Indian thali meals – are served in two dining cars, named Ruchi (Sanskrit for ‘fine taste’) and Nalapaka (after a king and legendary chef from the Hindu epic, The Mahabharata), by attentive waiters who opened up to good-natured small talk as the journey progressed. And after a good dinner what could be better than retiring to the lounge-bar, Madira, named after the nectar of the gods, to chat and unwind with a drink. Prices though, are on the high side. That said, it’s reassuring to know that you are trundling towards the next attractions while conversing in the bar before retiring to bed. Day 1 – Lunch at the Kempinski Leela Palace hotel and sightseeing in Bangalore, at Tipu Sultan’s Summer Palace, Bull Temple and the Lalbagh Botanical Garden. Day 2 – Visit to Mysore’s Amba Vilas Palace, a safari in the Rajiv Gandhi (Nagarhole) National Park and an overnight stay at the Kabini River Lodge (the only night spent away from the train). Day 3 – A boat safari then sightseeing at Srirangapatna and the Brindavan Gardens, followed by a cultural show and dinner at the KRS Hotel. Day 4 – Visits to Shravanabelagola plus the Hoysala temples of Belur and Halebid. Day 5 – Sightseeing in Hampi. Day 6 – Outings to the Chalyukan temple complex at Pattadakal and the sculpted caves at Badami. Day 7 – Arrival in Vasco da Gama, Goa, and an excursion to the highlights of Old Goa, including the Basilica of Bom Jesus, a visit to a spice plantation at Ponda and sunset at a beach resort. Day 8 – Farewell by the Golden Chariot’s crew at Bangalore’s Yeshwanthpur station. Srirangapatna was once a formidable island fortress and the location for Tipu Sultan’s last stand against the British. He fell during the defence of his capital in 1799. Srirangapatna’s attractions include the Ranganatha Swamy temple, a prison – known as Colonel Bailey’s dungeon – where Tipu’s enemies were incarcerated and the mosque where Tipu worshipped. His summer palace, Daria Daulat Bagh, built 1784, is just a few minutes coach journey from Srirangapatna and also on the tour. Bollywood fans may recognise the fountains, steps and walkways of the Brindavan Gardens from the movies. They are located below the Krishnaraja Sagar (KRS) Dam. A jeep safari in the jungle of the Rajiv Gandhi (Nagarhole) National Park offers chances to view wildlife such as elephants, sloth bears, leopards and tigers. The overnight stay at the Kabini River Lodge also includes a boat safari on Mastigudi Lake and the backwaters of Kabini Dam, which was created in 1974. Shravanabelagola which translates as the ‘white pond of the monks’ hosts the world’s tallest monolithic statue on Indragiri hill. The statue of a Jain ascetic, Lord Bahubali (Gomateshwara), standing in meditation and entwined with vines was erected in 981AD. It has been voted as one of the ‘Seven Wonders of India’. To reach the top of the hill, pilgrims and tourists need to climb 612 steps or charter a palanquin and team of bearers. Hampi, by the banks of the Tungabhadra river, 13km from Hospet, was once the capital of the powerful Vijayanagar Empire. The ruins of the once great city are spread over an area of 26 square kilometres. 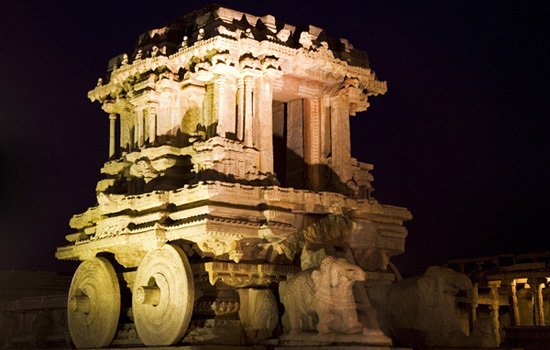 Several of Hampi’s temples and royal ruins have UNESCO World Heritage Site status. The highlights include the Virupaksha and Vitthala temples. The latter, dedicated to an avatar of Vishnu, is known for the Stone Chariot and Saptasvara Mantapa, which has 56 pillars with musical tones. The Royal Enclosure, King’s Palace, elephant stables and Lotus Mahal are also on the ‘must visit’ list. Badami, meaning ‘almond coloured,’ is named after the hue of the region’s sandstone. The South Fort’s sandstone caves, overlooking Lake Agastya, are famed for their stone sculptures of Shiva, Vishnu and Jain saints. The seventh century temples of nearby Pattadakal acted as the coronation site for Chalyukan kings. Unusually, both north and south Indian architectural details can be found at the site, which has UNESCO World Heritage Site status. The Dravidian Mahakuteshwara Temple, dedicated to Shiva, and the Mallikarjuna Temple, with sculpted details of gods, goddesses and couples in love, number among the highlights. 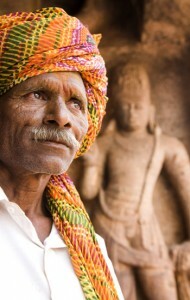 Local men in this region wear distinctive white cotton dhotis and Nehru-style kapis. All meals, entry fees to monuments, guides’ fees at heritage sites, plus the excursions in the air-conditioned coach are included in the price. Spa treatments plus drinks served in the lounge-bar and restaurant carriages are not included in the price of the tour. 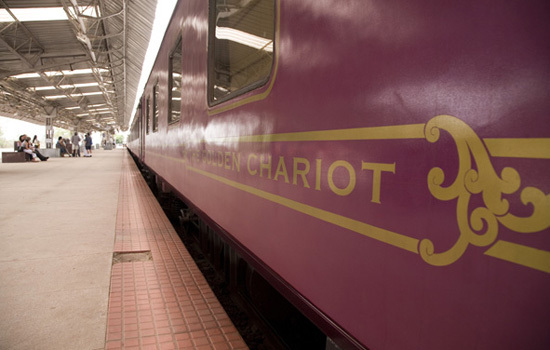 During its first year of operations, ninety per cent of the Golden Chariot’s patrons came from abroad. It’s possible to join the train for just part of the trip, paying on a per night basis. The eleven sleeping carriages, named after Karnataka’s historic ruling dynasties, are: Hoysala, Sangama, Ganga, Kadamba, Shathavahana, Rashtrakuta, Chalukya, Vijayanagara, Yadukula, Adhilshahi and Bahamani. The train has fifty travelling staff members. Safety lockers are available in each of the bedrooms. The train is run as a joint venture by KSTDC and the Mapple Group of Hotels. Newspapers are placed in the communal areas of the train. 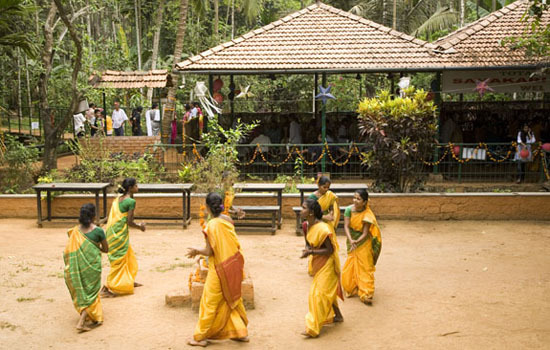 Click to learn more about Karnataka’s attractions and diversity. Travel between October and February, the season which offers the best climate for travelling in southern India. Bring comfortable shoes for walking around sites during excursions. Pack mosquito repellent, sun cream, sunglasses and a broad-brimmed hat to ensure your comfort. Drink plenty of mineral water during the trip, to stay hydrated. Be prepared to remove your footwear before entering temples. Shoes are not permitted in Hindu temples. Consider local sensibilities regarding your clothing. Bare shoulders and legs may well attract unwanted attention and comments. Loose fitting cotton clothing is ideal for the climatic conditions. Great article. 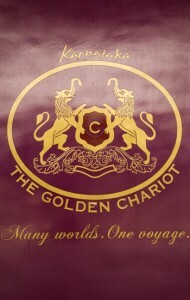 I found more photos of the Golden Chariot on the author’s website http://www.whyeyephotography.com. This is a lovely article to read. I found it interesting, well written, informative and the photographs are simply beautiful. Well done to author Stuart Forster and well done to the publisher Dinky Guides. Wonderful content. I like this. It sounds wonderful and the pictures are beautiful. Well done on a great story and looking forward to more.